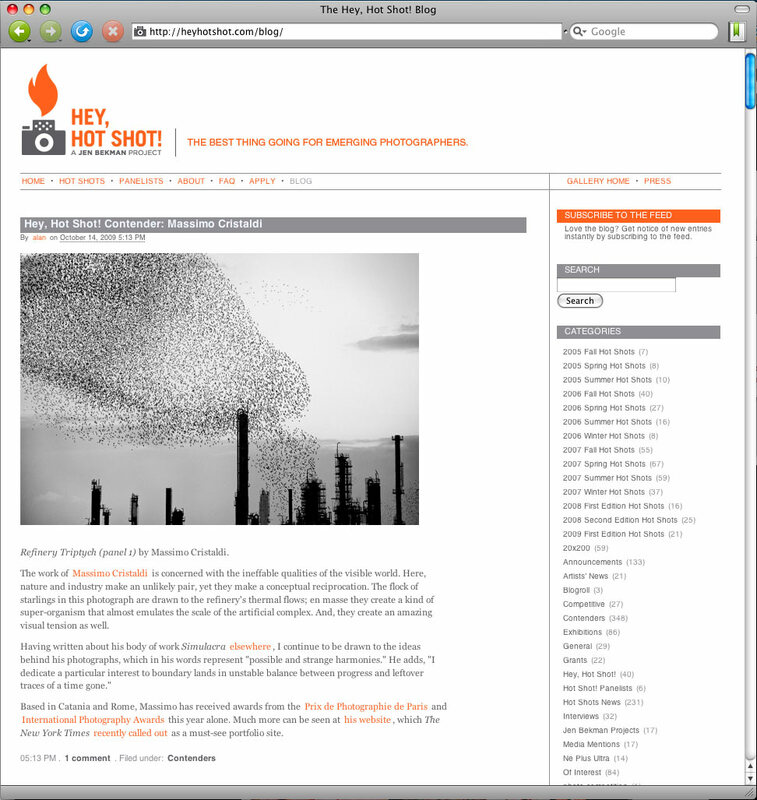 My Refinery Flocks is today featured on the Hey Hot Shot Blog. The work of Massimo Cristaldi is concerned with the ineffable qualities of the visible world. Here, nature and industry make an unlikely pair, yet they make a conceptual reciprocation. The flock of starlings in this photograph are drawn to the refinery’s thermal flows; en masse they create a kind of super-organism that almost emulates the scale of the artificial complex. And, they create an amazing visual tension as well. Based in Catania and Rome, Massimo has received awards from the Prix de Photographie de Paris and International Photography Awards this year alone. Much more can be seen at his website, which The New York Times recently called out as a must-see portfolio site.